Old ugly "Cool Deck" cleaned, repaired and re-stained to look like new again. 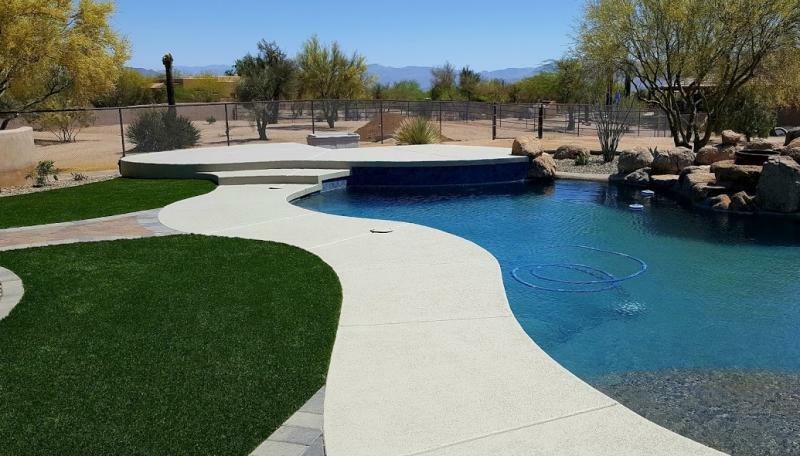 Existing cool deck area is first prepared by pulling back any encroaching landscape so that all outside deck edges are exposed. Next the entire area is throughly cleaned with special chemicals and 3,800 psi pressure washer. Next all substandard areas are spot repaired this will include cracks, chips, missing areas and/or missing/broken plastic strips. After repairs are completed an adhesive primer coating is applied to all surfaces including inside/outside edges, this will cure overnight. Following day the final top coat is applied thus restoring your cool deck to new like condition once again. 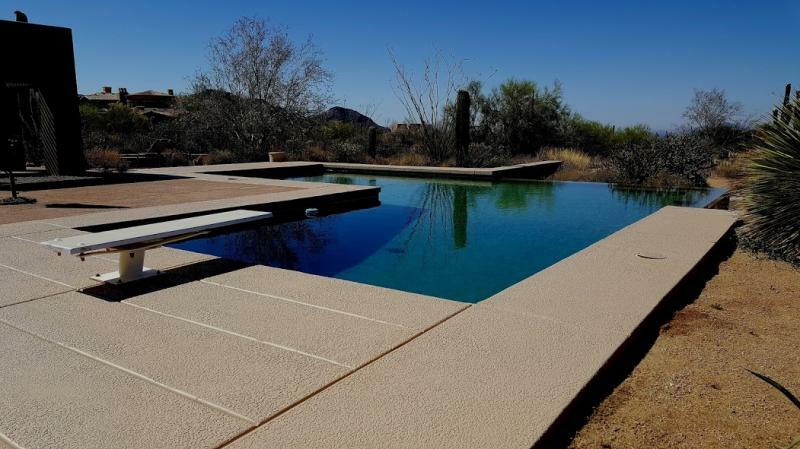 Consider our very exclusive Pebble Dek concrete resurfacing product. 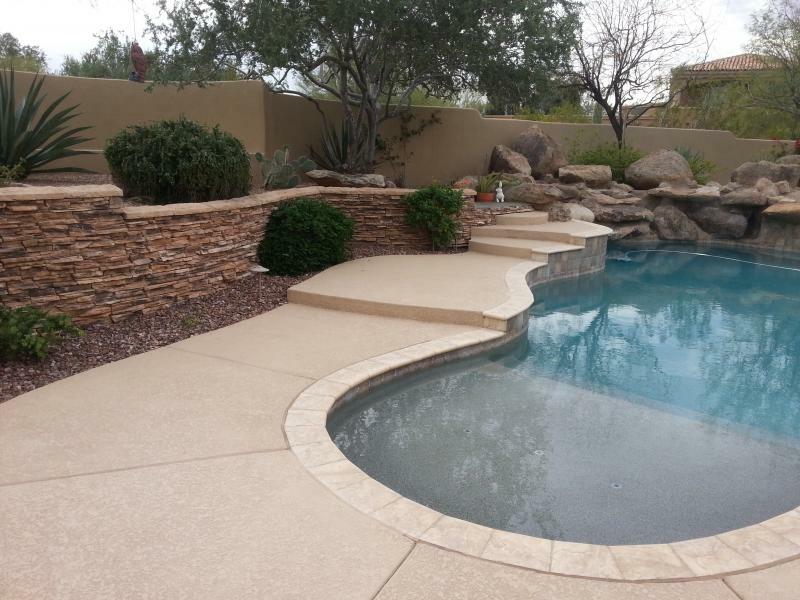 Pebble Dek is created with natural river stones and the best quality epoxy bonding system. owner performs all free estimates !